How Cool is This? Eco-Friendly Shoes! Becoming eco-friendly is on a lot of brands minds these days. Trying to make products that can be recycled or are made of recycled products is incredibly important not just to the brand but to the people purchasing those products. It can pretty much make a break a purchase for some people. Well if there is one brand that is trying to jump on that bandwagon it is Adidas. Adidas just announced their new eco-friendly shoes that are made of recycled ocean trash and fishnets used by poachers. Adidas partnered with a multidisciplinary creative environmentalism organization called Parley For The Oceans to create the concept for the shoe. 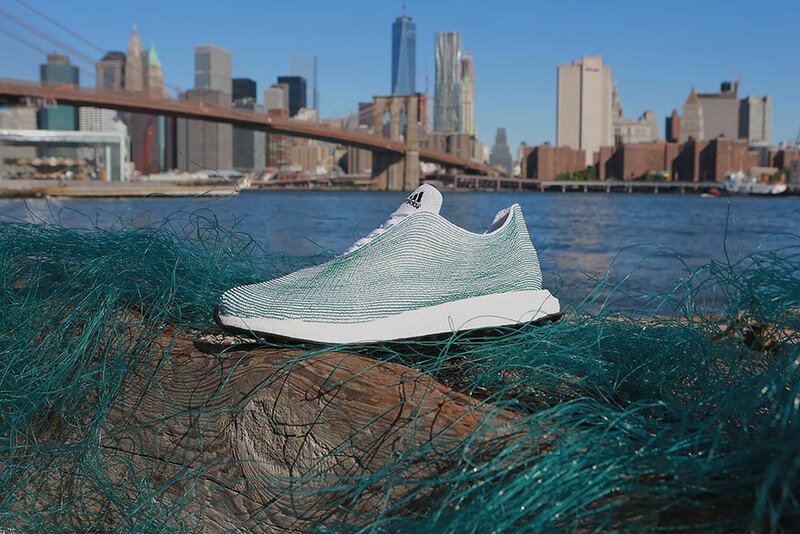 This makes them one of the first shoe companies to use recycled ocean trash! Ocean trash and fishnets are an incredibly big problem as we have seen in the many videos of whales getting stuck or turtles shells growing around a piece of plastic made to hold a 6-pack of soda. This trash is a major pollution problem but now there is a benefit, and it is in the form of parts of the nets that can be used to create recycled fibers. For those of you familiar with Whale Wars, The Sea Shepards are an environmental activism organization who track both legal and illegal poachers and, as a result, have also captured 72km of illegal gill nets from those poachers. Thanks to the Sea Shepards, Adidas will be able to use this material to make these shoes. The shoe will be created with the recycled plastic and green net fibers while the base will contain other sustainable materials. For a company that was accused of environmental pollution in the past, this product will hopefully show their commitment to making an improvement and changing their image. I am more intrigued as to what the cost will be. What do you think of this new shoe?